We are looking for strong partner if they want to create much more profits with their company ! 2. 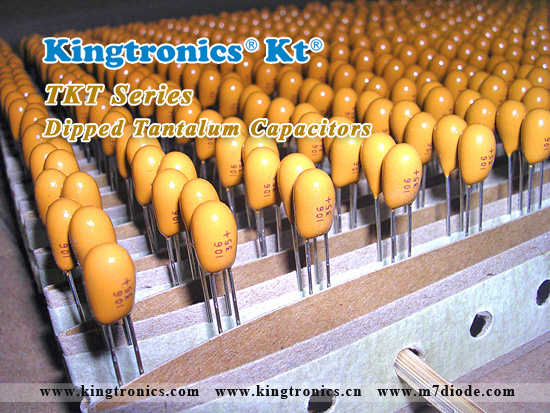 Electronic components distributor- Kt help them expand customers in the market. 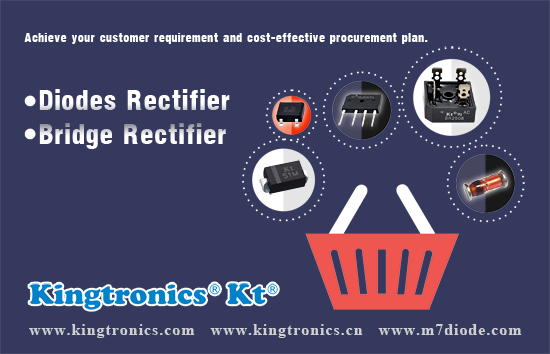 Should you contact us info@kingtronics.com or our sales dept. if you have project requirement or customer inquiry. Let us help you achieve your project on time and launch good quality products at the same time. Material is the most important factor for current product, especially to a new product. With Flexible price and approval Stable quality. You can totally rely on when selling your products to your clients. Happy New Year. Wish dear all good luck and good health in whole 2016. 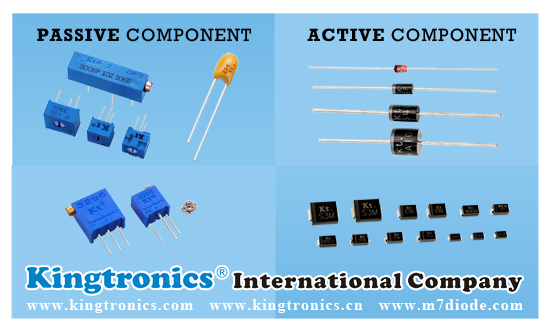 Passive Components including trimmer, Quartz Crystal, radial / axial type for MLCC and tantalum capacitors. We produce these parts with RoHS Compliant. 2. We're ISO 9001:2008 manufacturer since 1990. We have confidence to help you with above problems. 4. Different from other suppliers, our service is very good & our brand enjoys good reputation worldwide. 5. 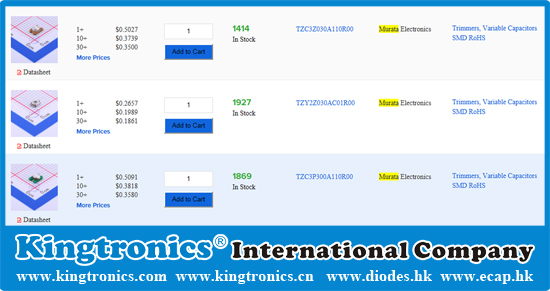 Below our passive components for your study. Kindly please check if any exact inquiry for us. Look forward to your business chance in 2016! 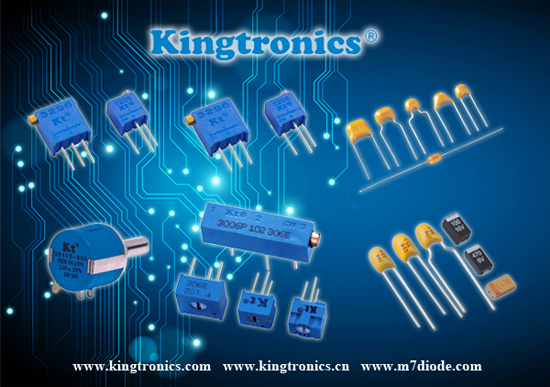 Shut down notice: Kingtronics will have Easter holiday from April 3rd to 7th. Pls feel free to email us during this period, but reply will be postponed. Thank you very much. Wish you enjoy a happy Easter with your families & friends! During past years of 2012 & 2013, we Kingtronics exhibited at Expo Electronica in Moscow, Russia. We will be absent this March, since there is much business to handle with after Chinese Spring Festival. Pls feel free to contact with us for better support, we are fighting for being more customers' first choice. 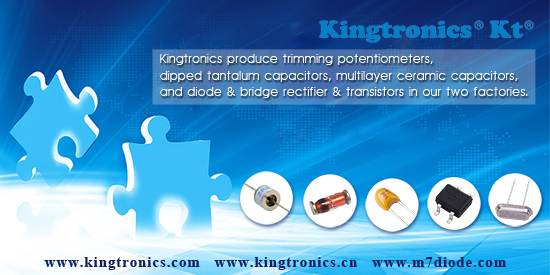 Kingtronics focus on passive components for years and with rich experience and high reputation. As the time goes by, our advanced technology also enable us gain good market shares in the business field of active components. 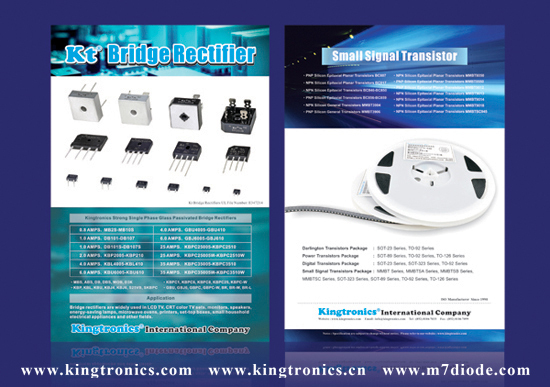 This year, we took part in electronica 2014 in Munich with our fresh new Bridge Rectifiers and Transistors Leaflet. All the customer are satisfied with the simple but attractive design, as well as the refined layout. Congratulations to Kingtronics Marketing Teams brainstorm result and hard work. Kingtronics strong sales group, committed to serve every customer heart and soul. Our motivation comes from your support! My dear friend, best wishes for the New Year. May 2013 be a very prosperous year to you! Personally and professionally! We were keeping in touch in the past year. I guess you already know more about our components below? Hope can do some business with you this year! Look forward to your 1st order/inquiry in soon.